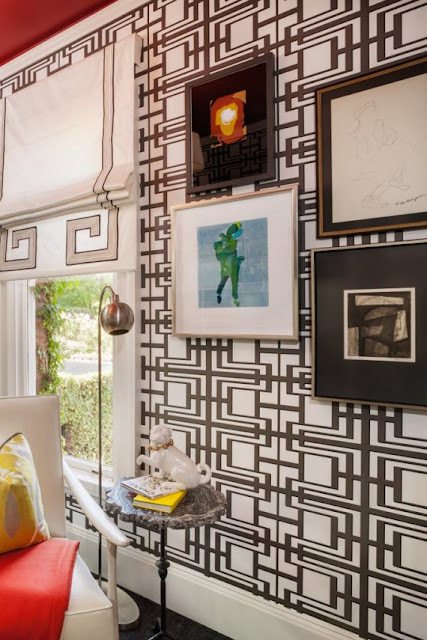 How pretty is this walk in closet, it was designed by Shelley Cahan of Shelley and company. 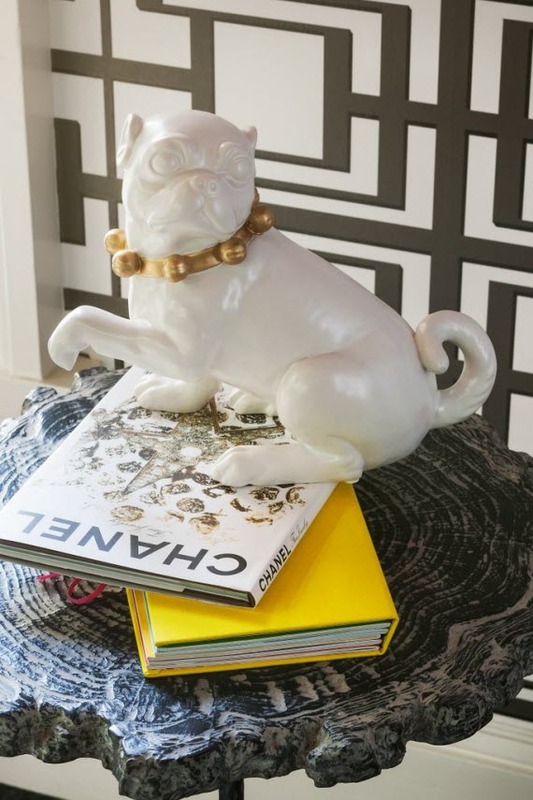 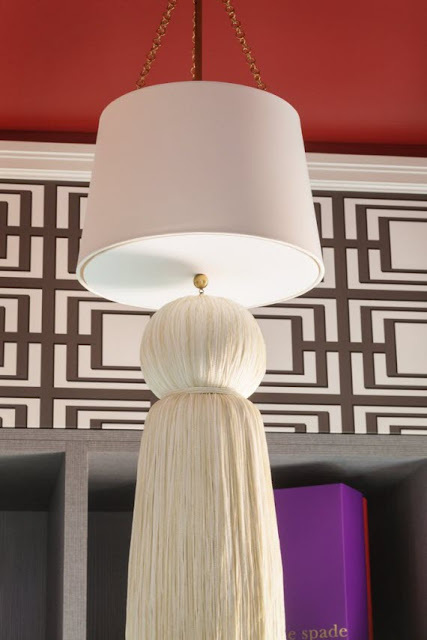 Love the greek key on the shade and look at that huge tassel hanging from the lamp. Could this be a DIY project? Oh my goodness, I love everything about this closet!